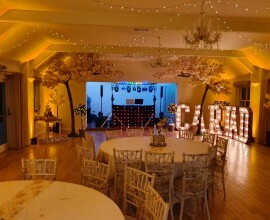 I am proud to be widely regarded as Wales' number 1 award winning DJ, with a reputation as being one of the UK's most professional reliable and experienced DJ's. For my Mobile Disco Roadshow I have invested in a top quality FBT Vertus CS 1000 PA System, providing a clean, crisp and clear sound at high and low volume. 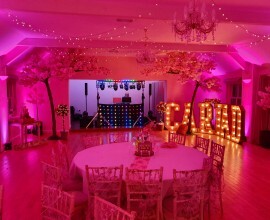 My light show is a stunning, impressive and effective variety of laser, intelligent moving head, LED, scanners and standard Disco Lighting effects to enhance your function's atmosphere.. The visual experience of my roadshow is one of the best in Wales and I am continually evolving the overall impact for the benefit of my clients and for my personal pride. I work as a completely versatile Personality and Mixing DJ with a vast music collection to enable music programming to suit any taste from a pure fun/student/party audience to specialist up-front dance music. My years of experience in the entertainment industry and my extensive musical knowledge allows me to move seamlessly from one genre to another to enhance your musical experience e.g. wedding and family functions, a 2 hour children's party show with unique and fun games, corporate and black tie events and promotions. A good DJ will always connect with his audience throughout the night and have the skill and experience to play the right music for the right crowd at the right time. A lot of so called DJ's cannot do this! After all, anyone can stand there and press play. Anyone can buy kit, download some music, call themselves a DJ, and practice their craft at the expense of your wedding or function, but they will not necessarily do the job professionally or properly. Many "DJ's" may have the music but do not know how to programme it to suit a given audience or function. 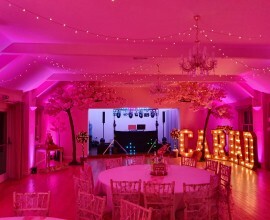 I recognise that no two weddings or functions are the same and therefore I treat every booking like it's my first. My prime objective is to give you and your guests the best night possible and to create some fantastic memories to round off your perfect day. As well as knowing my music going back through the decades, I am on the record mailing lists of all the top record and promotional companies which enables me to remain current and fresh and to be at the forefront of future music trends. I am just as comfortable working in a Dance Night Club environment as I am performing at a private party, wedding or corporate function. Versatility is the key word!! 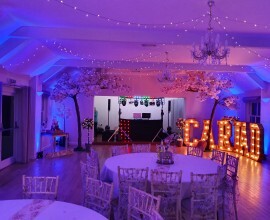 I can provide the music for your function anywhere in South Wales, in some fantastic places like Tenby, Haverfordwest, Swansea, Carmarthen, Saundersfoot, Cardigan, Narberth, Manorbier, Llanelli, Aberystwyth, Fishguard, Pembroke and Pembroke Dock. 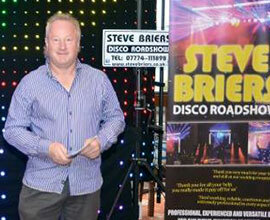 Steve Briers is the Guiness World Record Holder for the worlds 'Fastest Backwards Talker'.